The christening of Prince Edward took place three days after his birth in the chapel at Hampton Court amid scenes of suitable splendour. There had been no christening of a prince in England for more than a quarter century, and every care was taken to make the event as elaborate and impressive as possible. Thomas Howard, Duke of Norfolk, and Charles Brandon, Duke of Suffolk; and Archbishop Cranmer were godfathers, the Lady Mary, godmother.The Marchiones of Dorset had been appointed to carry the prince in his christening, but had been obliged to send her excuses because of sickness in the nieghbourhood of her house at Croydon and was replaced by Gertrude Blount, Marchioness of Exeter. The baby's other sister, the Lady Elizabeth, and arrayed in robes of state, to perform the part assigned to her in the ceremony, bearing the 'richly garnished' chrysom, or christening robe. This burden proved rather too much for the four year old Elizabeth, so 'the same lady, for her tender age' was carried in the procession by the Queen's elder brother, Edward Seymour. Every notable of the Court and government was present as the christening procession formed in the Queen's apartments. Jane received the courtiers from her bed, and she and Henry watched as the churchmen and officials took their places and walked two by two towards the chapel. "God, in his Almighty and infinite grace, grant good life and long to the right high, right excellent, and noble prince Edward, Duke of Cornwall and Earl of Chester, most dear and entirely-beloved son of our most dread and gracious lord Henry VIII"
As the group left the chapel, Mary took Elizabeth by the hand and led her out, with Lady Kingston and Lady Herbert bearing their trains. 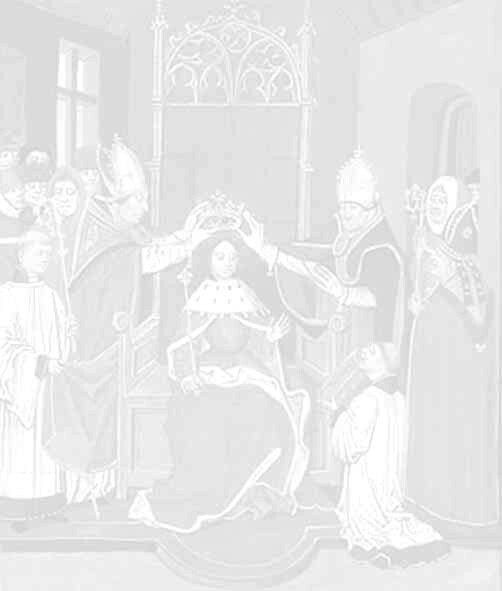 It was after midnight when Edward was brought back to the Queen's apartments to be blessed once more, by his parents and in the name of God, the Virgin Mary and St. George, and then food was provided for the entire company, hypocras and wafers for the nobles, and bread and sweet wine for the "gentles and all other estates". The lady Mary gave her godson a cup of gold, by lord Essex; Cranmer gave him three great bowls and two great pots, which were borne by the father of Anne Boleyn. The Duke of Norfolk presented a similar offering.